Chris Landry, senior reporter for Trade Only and Soundings magazines, is in Galveston, Texas, with a BoatU.S. Marine Insurance Catastrophe Field Team reporting on the aftermath of Hurricane Ike. Look for his dispatches over the next several days. A full report will appear in the November issue of Trade Only. The stench of the sun-baked barnacles covering the underbellies of the marina docks hit me as soon as I opened the rental car door. 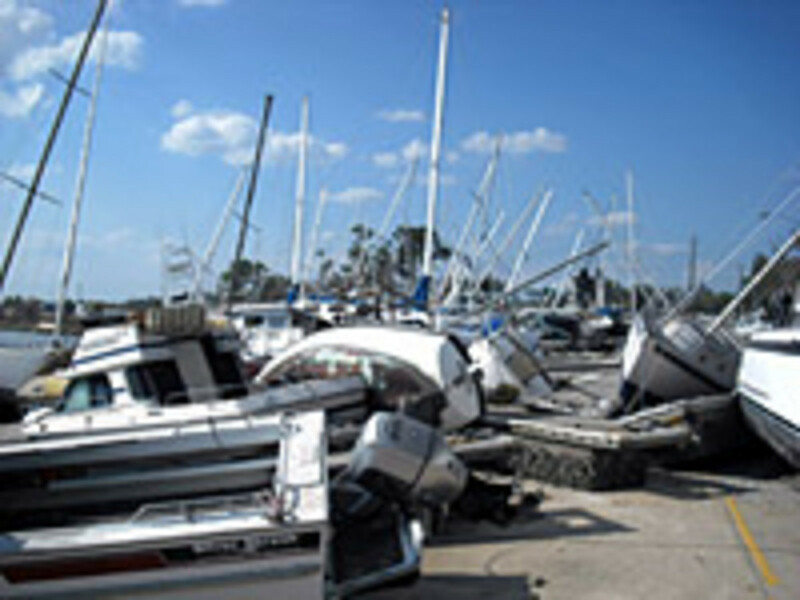 Hurricane Ike had picked up the entire 80-boat fleet at Bayland Park Marina in Baytown, Texas, pushed it a quarter-mile inland, and dumped the vessels — still tied in their slips — onto the road. 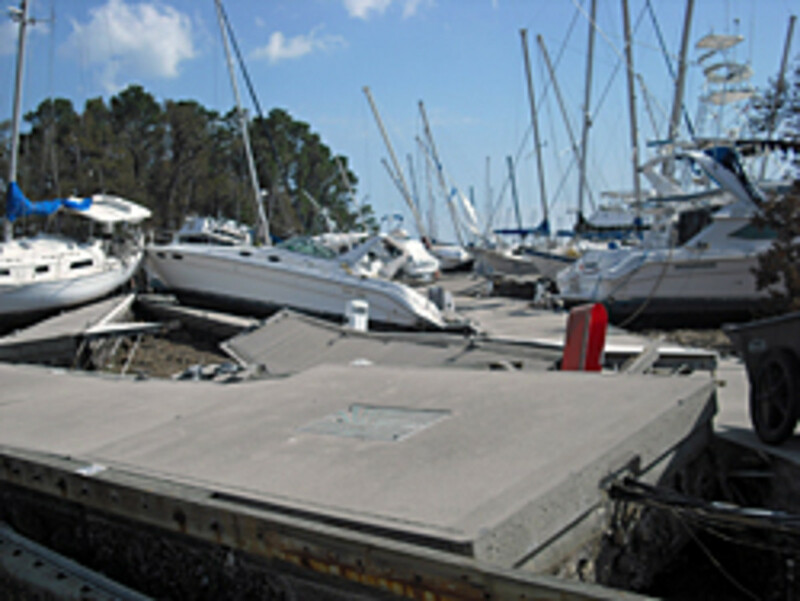 The Category 2 hurricane struck the marina hard. Eleven days after, a mix of power- and sailboats still littered the street that leads to the marina, which sits at the head of Galveston Bay. This was the first day of my three-day visit to the Houston area. I’m tagging along with the BoatU.S. Marine Insurance Catastrophe Field Team, which includes 11 surveyors and other team members. They’ve already been here a week, assessing the damage, and they’ll likely be here another two weeks. Amazingly, the boats at Bayland Park remained tied to their docks. The storm surge, which rose an estimated 8 feet above mean high tide, lifted the vessels and docks above the pilings and onto shore. 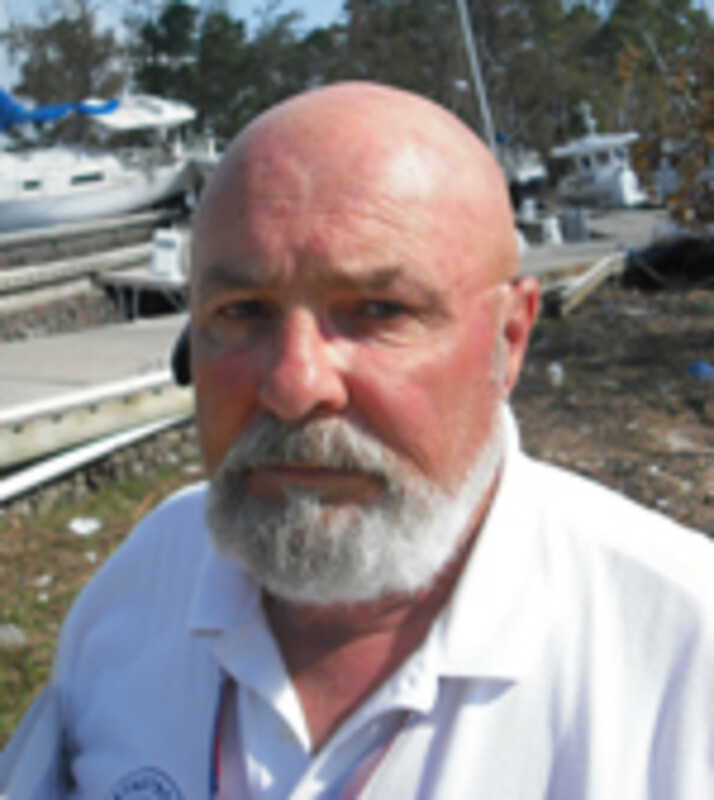 “Because the boats and docks are blocking the road, these boats will have to be picked out one at a time,” said James Wood, a surveyor working for BoatU.S., who is in charge of this marina site. The “Cat” team must find capable salvage operations that will use cranes to remove the boats. Those deemed unsalvageable will be taken to BoatU.S.’s makeshift boatyard on the other side of Galveston Bay. There, the vessels will be sold as losses. At Bayland Park Marina, surveyors were waiting for the city to hire a salvage company, which they will work with to recover boats. “Until the salvage job is awarded, there’s not a lot we can do,” said Wood. We expect to find many more boats today. We’re headed to Galveston and will make our way up the bay through Clear Lake and back to Baytown. To watch video of the damage, click here.